Booyah Bailey Auction! Always good to mention cracked holders, even when the picture doesn’t necessarily show the crack. Nice. Boo! 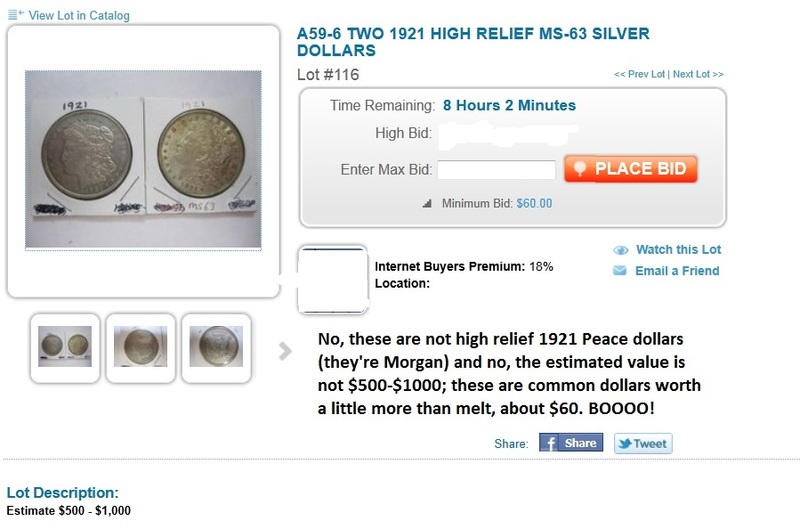 to this unnamed auctioneer selling high dollar coins with low dollar visuals! Boo! 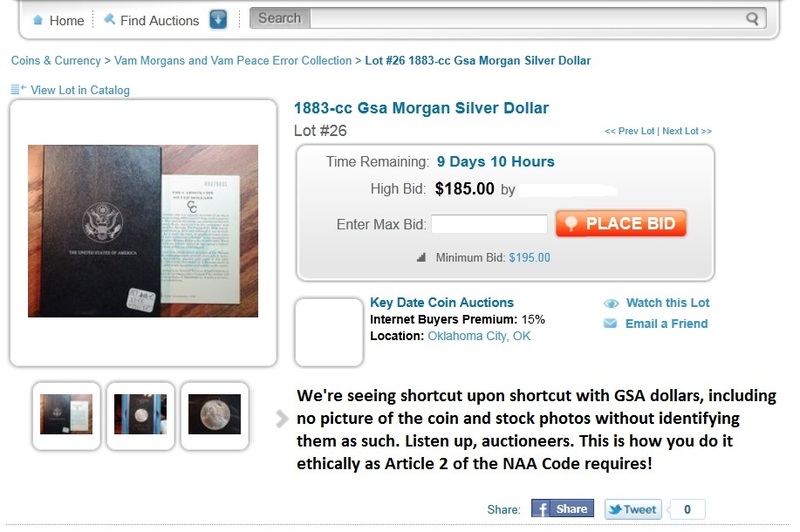 to an auction house that knows coins, shows only the box of a GSA Carson City dollar, when the condition of that dollar is key in making a bid. Booyah! 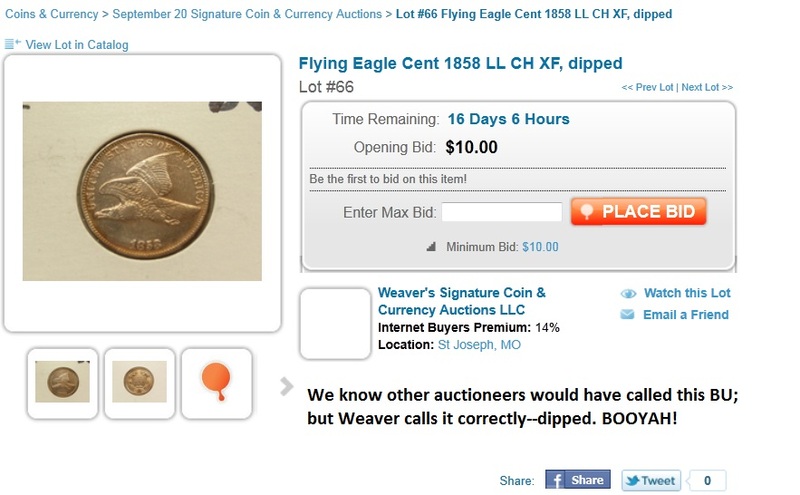 to top-house Weaver Coin Auction for correctly noting a coin has been dipped when the picture may indicate that it hasn’t. This spells integrity so that buyers can bid with confidence. Boo! To yet another auction house that cannot focus a camera and that shoots with no lighting. Boo! 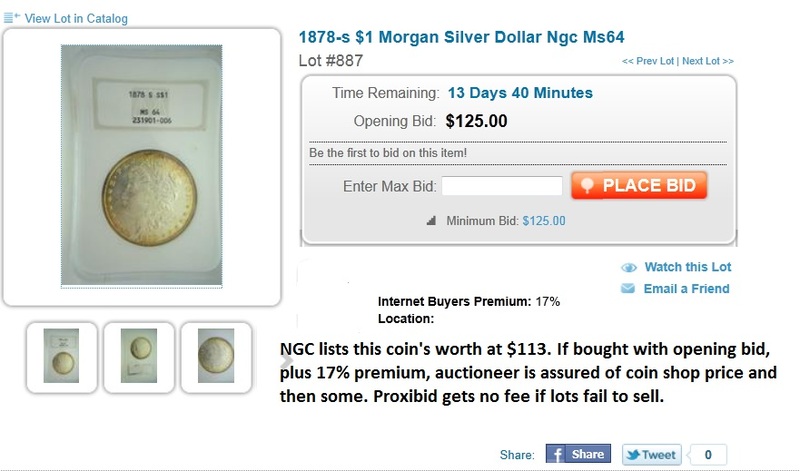 To an unnamed auctioneer with a retail opening bid and 17% buyer’s fee on top of that, assuming no one else bids for the coin. 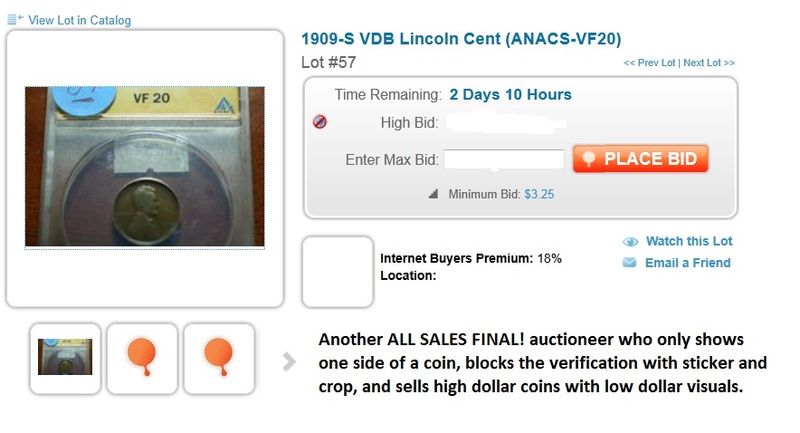 Yes, this is a lovely coin that can bring a premium, and if that’s the case for the high opening bid, then simply state that in the lot description. Proxibid gets no payment when lots fail to sell. Boo! To another higher than retail opening bid. 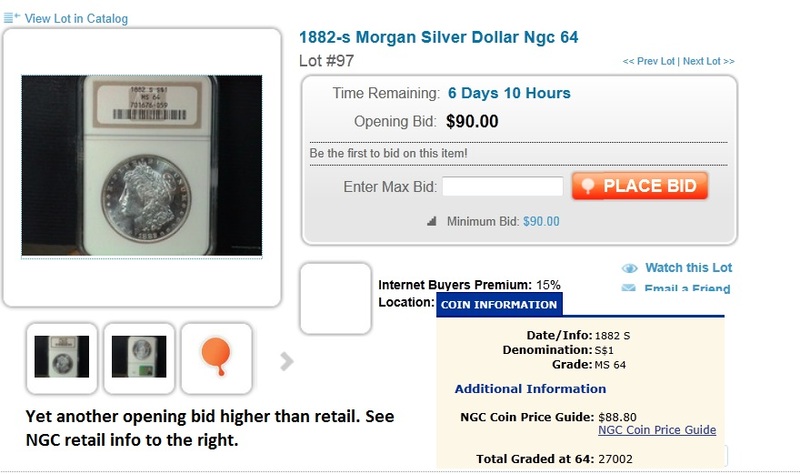 We’ve inserted NGC retail price on this one so viewers can verify why we keep harping on this complaint. And we’ll keep noting that Proxibid gets no payment when lots fail to sell. Boo! 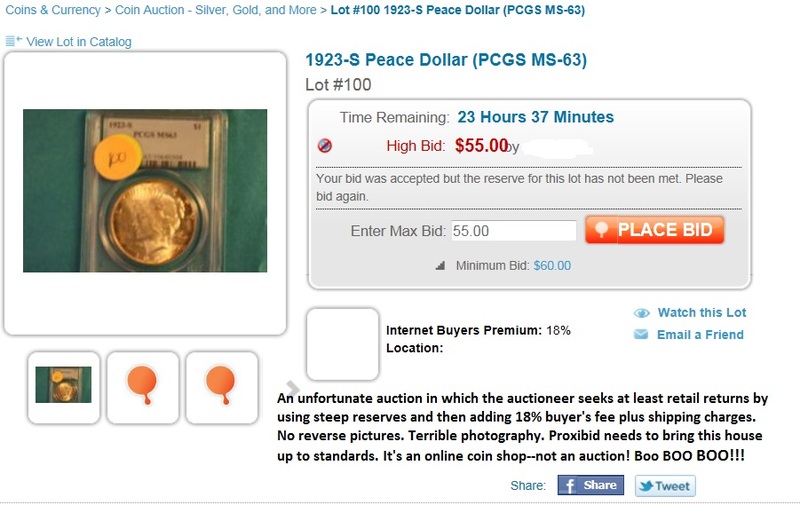 To an unnamed auctioneer who confuses the high relief Peace dollar with the low-dollar Morgan one, inflating the estimated value by hundreds of dollars. Booyah! 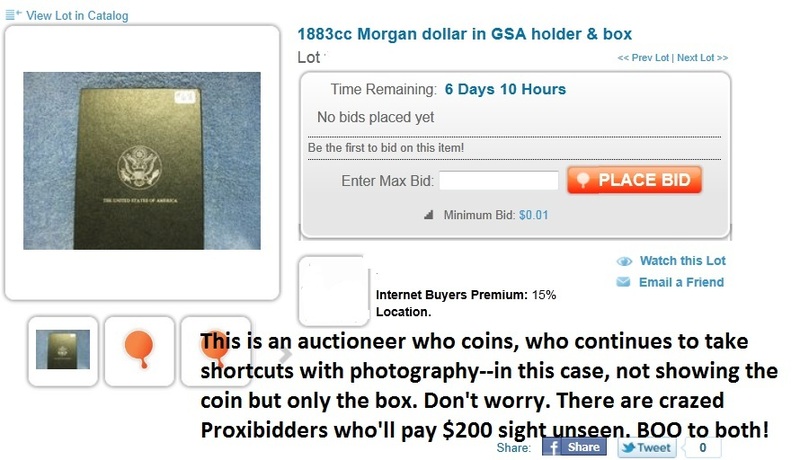 To Key Date Coins, one of the most improved auction houses on Proxibid, showing other auctioneers how to depict a GSA dollar. Way to go! Boo! and Booyah! 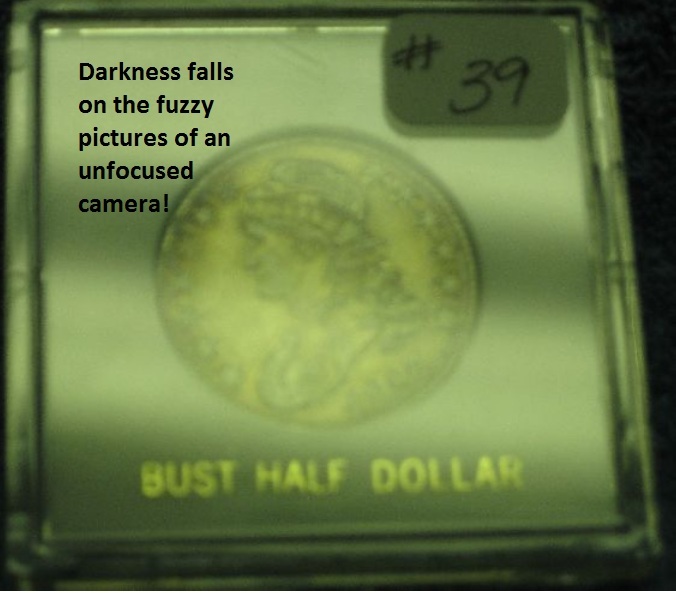 To this unnamed auction house that notes scratches on the reverse (THANK YOU!) but doesn’t also show the reverse (SIGH). Booyah! 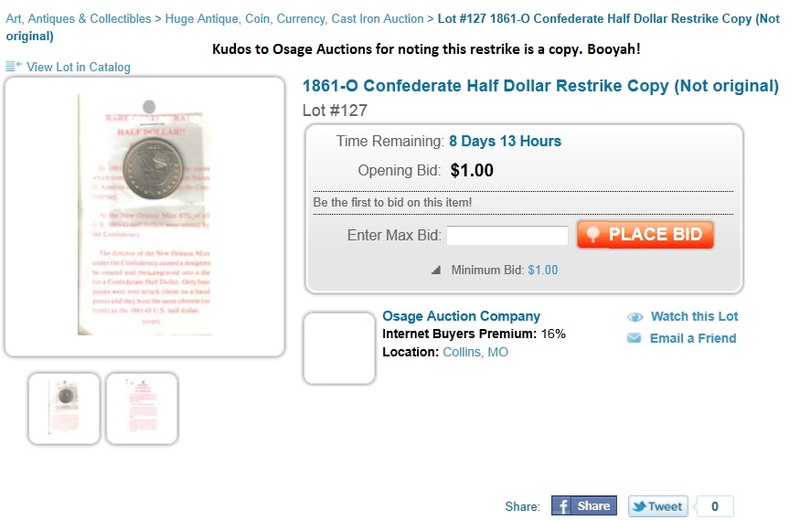 To Osage Auction for noting a restrike rather than original coin. This showcases honesty and scores points as well as bids with Proxibloggers. Booyah! To Affiliated Auction for good pictures and even better lot descriptions. Booyah! 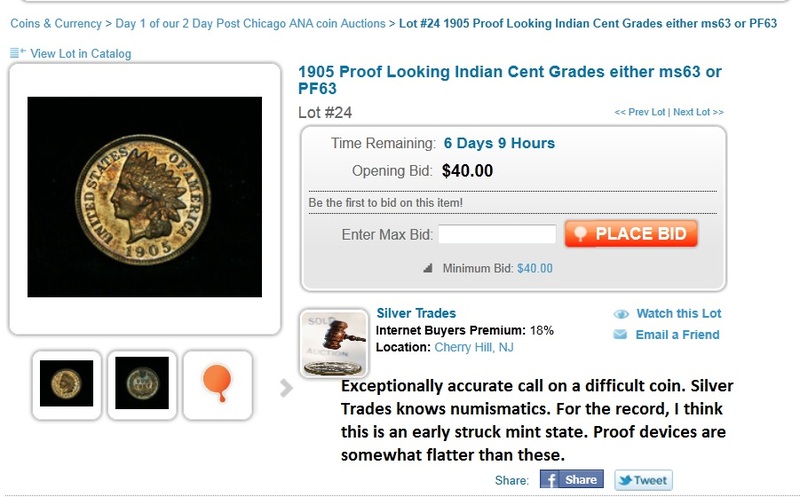 To Silver Trades for making an exceptionally difficult numismatic call on a coin that may be prooflike or proof. 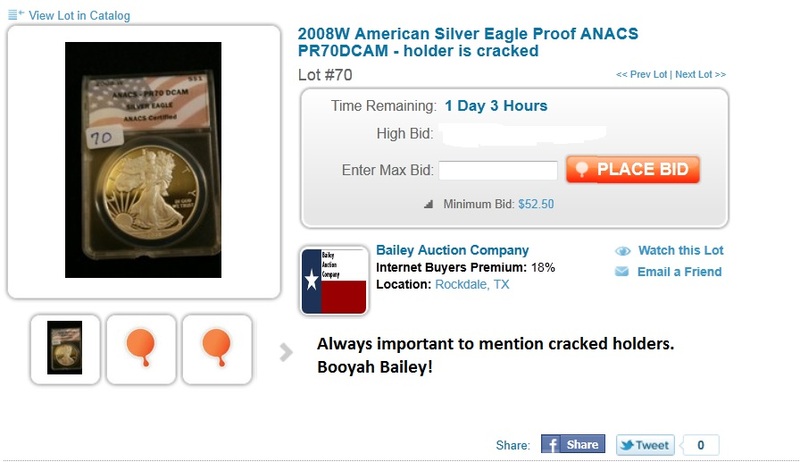 Auctioneer is a noted numismatist. Boo! 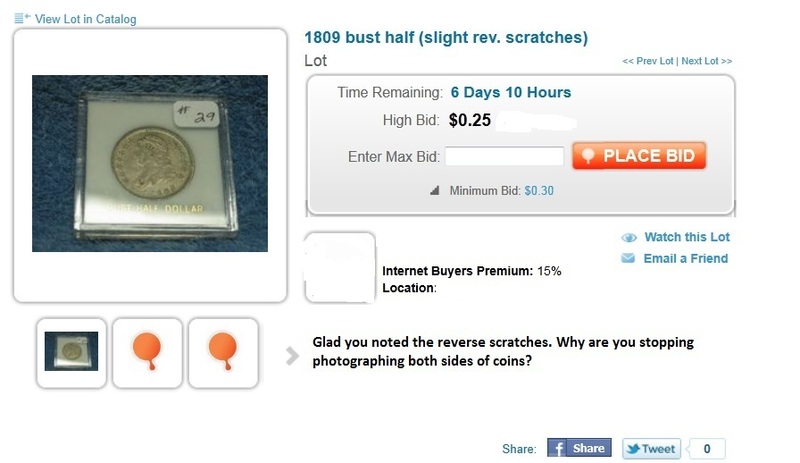 To an unnamed auction house depicting a coin with poor photography, charging retail and then adding 18% buyer’s fee. Booyah! 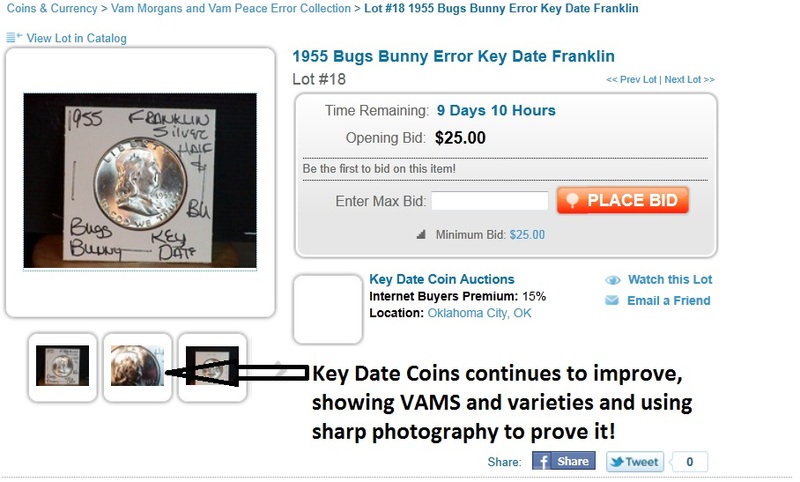 To Key Date Coins, once again, for sharper than ever photography and now variety designation. 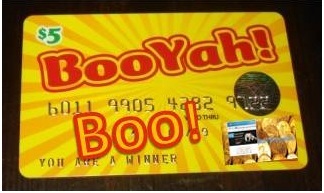 Viewers can point us to other candidates for our “Boos & Booyahs!” series. Just leave a comment but follow our rules–all in good fun as a way to inspire accurate lot descriptions on Proxibid. 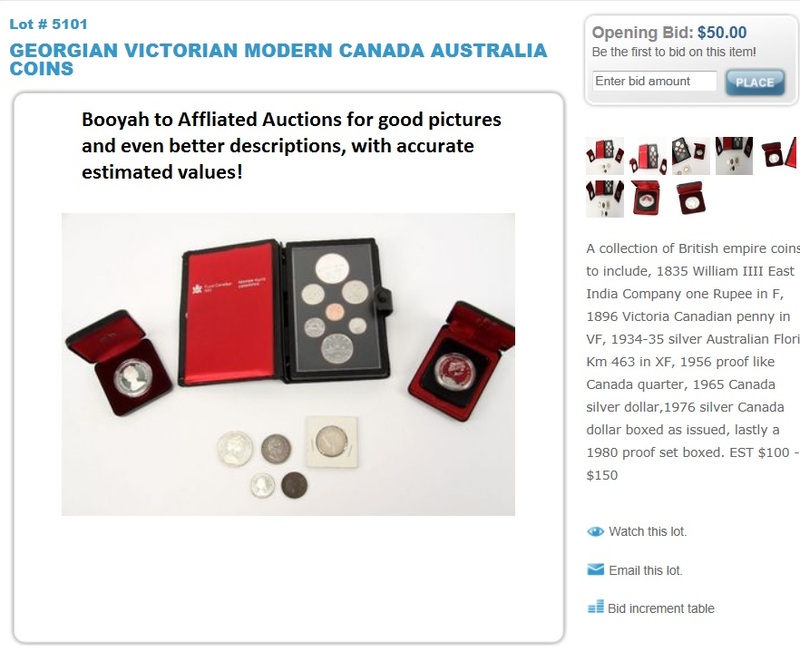 This entry was posted in Best Practices, Featured Updates and tagged Affiliated Auction, American Numismatic Association, Auctioneers, AuctionZip, Bailey Auction, Best Practices, Coin Auction, Key Date Coin Auctions, National Auctioneer Association, Osage Auctions, Proxibid, Proxiblog, Silver Trades, SIlvertowne, Weaver Signature Coin Auction. Bookmark the permalink.